Thanks for signing up for our tips and tricks mini stock trading course. You just signed up for our tips and tricks mini stock trading course. Thanks and I hope you enjoy it and take away valuable information. 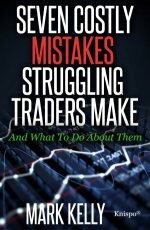 I hope you will move to the next level of trading after taking in the lessons in this small book and the mini course. PS I have gotten feedback that occasionally our emails, which come from iContact end up in peoples Junk folder. If you do not receive our welcome message within about 1 to 10 minutes please check your Junk folder. Looking for that important email and don't know how to Whitelist?